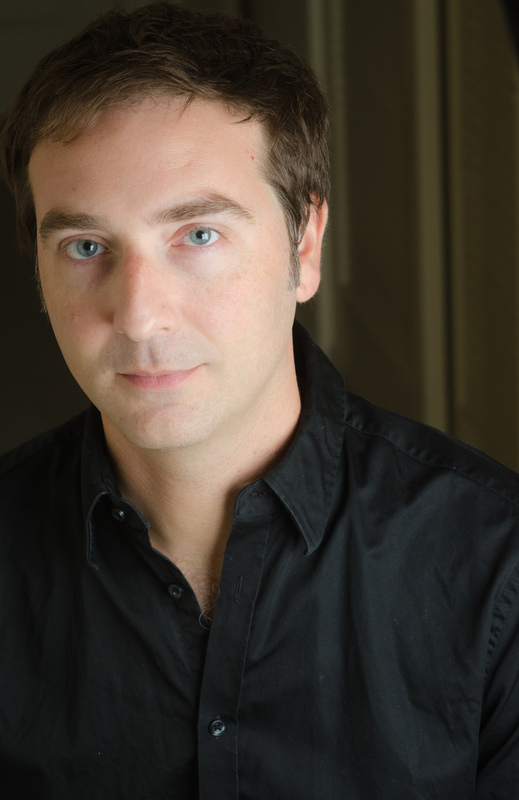 While he is no stranger to national attention, something new has been added to Brett Neveu’s resume in 2014—New York playwright. And his Chicago ensemble has newly opened a New York outpost. In a chat just before the opening of the New York run of his Chicago-birthed creation The Opponent at 59E59 Theaters in early August 2014, Neveu (pronounced neh-view) elaborated on the genesis of this play and its role as the inaugural offering of A Red Orchid NYC—the NYC-based production “home” for Chicago’s A Red Orchid Theatre. From the top, Neveu’s two hander involving a boxer, Donell (Kamal Angelo Bolden), and his ex-boxer trainer Tre (Guy Van Swearingen) uses boxing as metaphor in a surprisingly light-handed way. You watch them spar, fighter and trainer, and the play is in part about that dance. The play is also about relationships—father and son, mentor and mentee—and about class and aspiration. In the words of Tre, “It don’t matter why you fall. It only matters if you get up.” Despite the powerful resonance of gloves tapping gloves and grunts of physical exertion, it is clear that these conversations about life, risk, challenges, and character could be taking place between two men in coffee shop. The wonder of Neveu’s creation is its spare and pure power, drawing from the drama of the ring, but not depending upon it for delicate and layered theatrical storytelling. Neveu is based in Chicago and teaches at Northwestern University, but has spent time away over the past few years. He’s had seven world premieres at A Red Orchid, where he and heavy weights like Michael Shannon are ensemble members. One of his plays Do The Hustle was done at Writers Theatre in Glencoe, Illinois, and almost sold to television, initiating a Los Angeles phase of his life that ended in 2011 with a return to home base. The five years Neveu spent in LA were trying. “I wasn’t really trying to get staffed because I was out of town so much, but I was trying to sell a series, and came close a couple of times, and got frustrated with the business.” His wife, designer Kristen Neveu, told him, “If you don’t want to write for television, you don’t have to.” The family reassembled in Evanston about a year ago. The Opponent emerged from an initial impulse involving Neveu’s father—he and his dad watched a lot of boxing, especially fight nights, when he was a kid—and the chance to spend time to develop a nugget of an idea at the Center Theatre Group in LA. Neveu approached another sport, football, in his 2008 play Gas For Less, in which he wrote about a group of characters that shared “a sort of love for football,” but he hadn’t written it “from the inside” of the sport. An article he read about boxers who are set up to face bigger fighters inspired him to give that kind of inside treatment to a new play about boxing. They have their own aspirations. They travel all over the place, but they’re also set up against guys that are much better than they are, or have better training, better facilities, all that stuff. I thought that was sad and interesting, and I could relate, because of my LA experience. I wondered: how bad did I want something that others wanted for me? How was I participating in my own dream, or was I participating in someone else’s dream? And so that kind of bled into the script. Time spent at Justin’s gym that proved pivotal to his play’s development. He let me hang out in the gym, just wandering around taking notes. At one point one of the guys I was talking to said “hey, so-and-so is coming in, he’s really good.” When he came in, and the whole gym just parted. Then he got into the ring and everybody just casually gathered around to watch. He fought two guys; beat the crap out of them. And I looked around, and everybody had just stopped training.. And I thought: oh, my god, this is the show. There’s that magnetic presence of the ring. A series of conversations and coincidences then unfolded, as is often true in theatrical stories. A friend of a friend, Roberta Pereira, read the script and was enthused. Pereira and Shannon championed the idea, and the company was on board. Elysabeth Kleinhans and Peter Tear at 59E59 were supportive. Tear knew the company’s work in Chicago and opened all the doors, giving Neveu his choice of space. Both acts are two ten round fights. And where that humor lands is where in a fight you would expect people to sort of settle in, as they gauge each other. When you’re watching a fight, it’s the point where the fighters, in round four or five, are settling back, trying to relax. The humor is a little like “taps”—they try to out joke each other, but the more experienced fighter gets a couple of good jabs in, just to see, to check the reach of their opponent. So many playwrights focus so hard on the productions and they don’t give a positive thought to that time spent talking and thinking. It’s like worrying about your kids getting into college and you miss all that time going to the park or taking the kid out to dinner, or watching TV. Tre says, “you’re going to remember to enjoy yourself before the fight.” And that’s it. Enjoy yourself before the fight, because the fight itself is nothing if you don’t enjoy yourself.